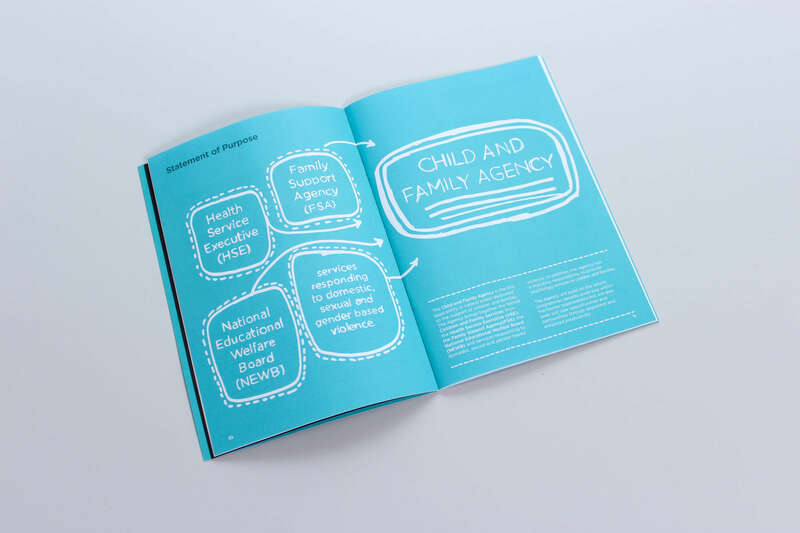 On January 1st, 2014 Irelandʼs Child and Family Agency came into being. This new entity, Tusla, saw the amalgamation of HSE Children & Family Services, Family Support Agency and the National Education Welfare Board. With over 4,000 employees and an operational budget of €600 million, it is responsible for improving the wellbeing and outcomes of children in Ireland. As preparations were underway to establish this new state agency, CI Studio was engaged to look at the brand itself. To gain a full understanding of the strategic ambitions for the project, we conducted extensive consultation with all stakeholders, including government. We listened to and captured the hopes, and indeed fears, of those involved in devising and implementing the structural change. 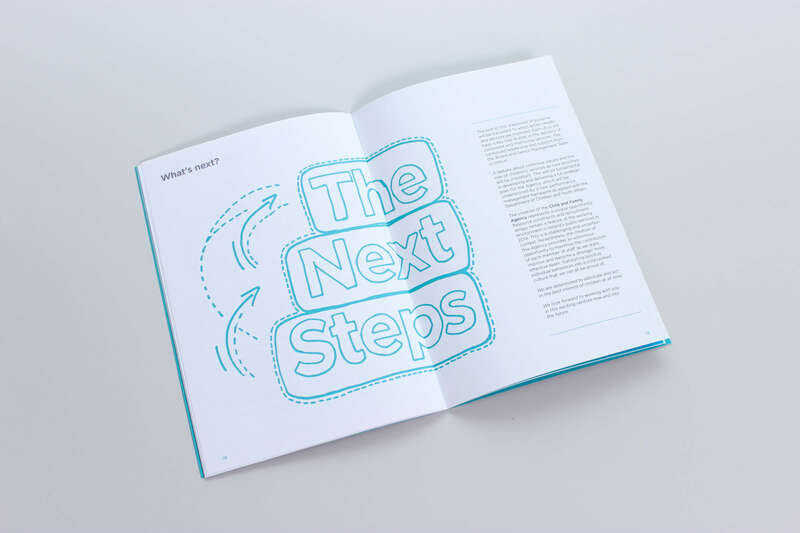 Many stakeholders held the view that a mere realignment of services, along with the union of a number of bodies, would not be sufficient to deliver the fresh start that was deemed so necessary throughout the sector. It was felt that a new identity (and name) was required to capture the sense of purpose, ʻchildren first, alwaysʼ, shared by all those who would deliver these services in the future. Once strategic alignment was established, work began on the new name. This involved a conceptual and collaborative process (meetings with the senior stakeholders, executive and departmental) and the testing of any proposed names for trademark issues or unwanted brand associations. Consideration was given to the aspirations of the agency and many themes materialised – a new beginning, an opportunity, a challenge. 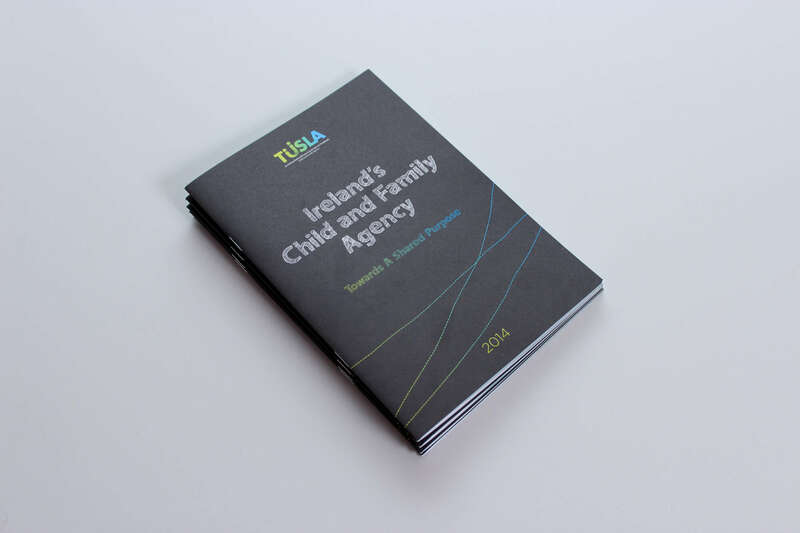 From debate and creative engagement, Tusla emerged as a fitting name. 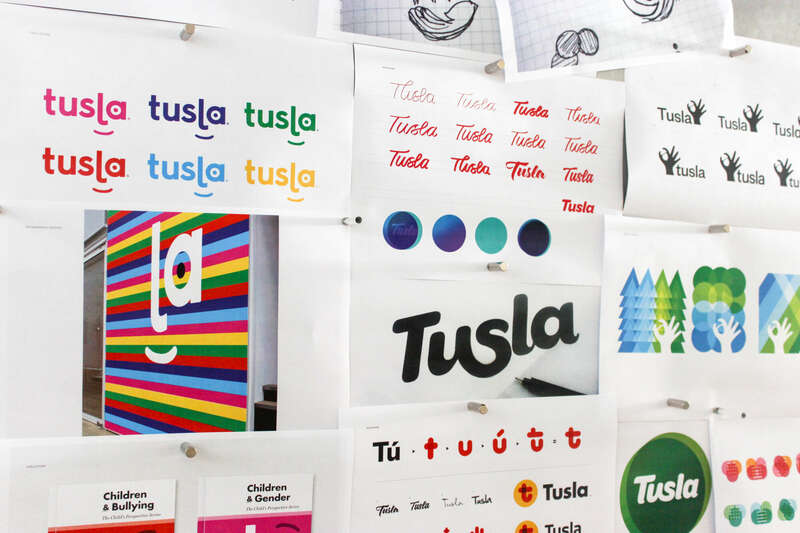 While it borrows from the Irish tús (new start) and lá (day), Tusla is a completely new word reflecting a shared desire for a new beginning. A new word, a new way of working. During our stakeholder research, the desire for colour to be a dominant attribute of the new identity came to the fore. In addition, the creative response had to reflect the agencyʼs shared values of respect, integrity, fairness, collaboration and compassion. The simple and contemporary solution we developed allowed for cost-effective implementation and ease of translation across a wide variety of media. With a nod to the works of celebrated American designer, Herb Lubalin, we fashioned a parent and guardian symbol from the ʻuʼ in Tusla. This ʻuʼ symbol can be used on its own, within words, to reinforce the remit of the agency or in conjunction with the letter ʻsʼ when speaking as a collective, powerful voice.